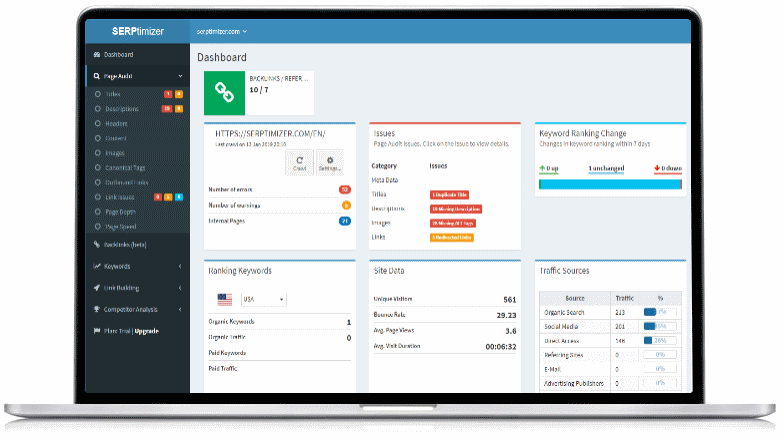 All-In-One SEO Tool to manage your website. Our crawler checks your site for internal and external errors, and gives you an overview about your website. Find and manage link opportunities and competitors based on selected keywords. Shows ranking keywords of your own website or those of your competitors. Regular monitoring of rankings and comparison with competitors. Display and monitor your backlinks. Find new link opportunities by analysing backlinks of your competitors. Analyze the performance of your website. Detailed display of all resources with the count, size, load time and used compression. Try out all features for free. After the trial ends, you can continue using the free plan.